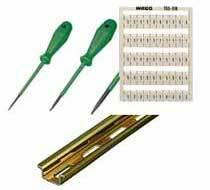 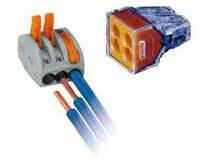 As the innovators of the world renowned CAGE CLAMP® concept, WAGO has been the world market leader for more than a half century in the design and manufacture of termination systems incorporating screw-less, spring pressure, wire termination technology. 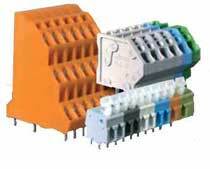 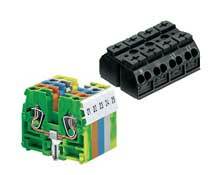 WAGO offers an unrivalled range of advanced products including PCB mount terminal blocks and connectors; chassis mount terminal blocks;, DIN rail mount terminal blocks; relay modules; signal conditioners;, controller interface modules, power supplies, surge protection, outlet boxes, push-wire connectors, and the WAGO-I/O-SYSTEM. 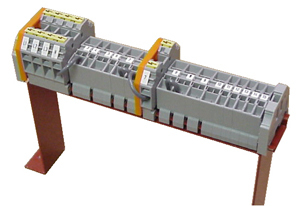 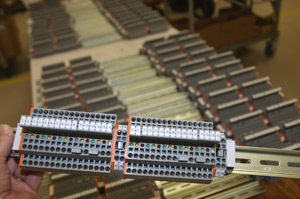 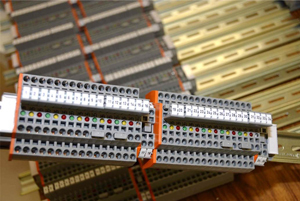 Rail customers often request terminal block assemblies from ARMS, or integrated and wired with power supplies, surge protection, and other components as needed. 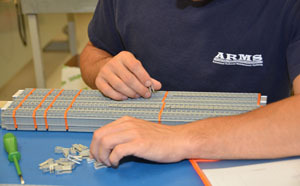 Contact ARMS for similar assistance.